A while back I needed a new bluetooth headset, so I decided to purchase the Jawbone Era (affiliate link). In fact I ended up purchasing two of these headsets after my first one took a ride through the laundry. While I like this headset quite a bit, there are four issues with it that I find quite annoying and that I only really became annoyed by recently. 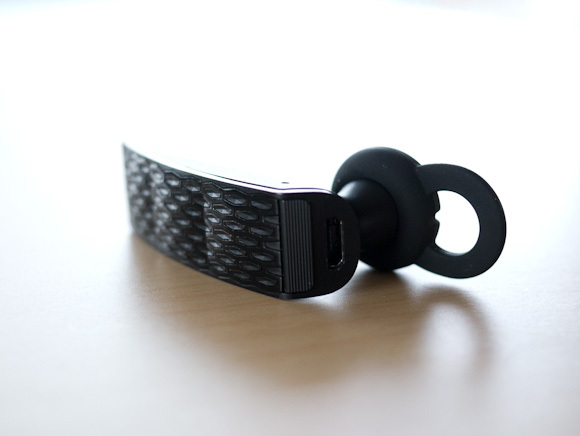 Jawbone gives you a plethora of options for wearing the headset, including an over the ear loop. Here’s the problem though, with exception to the over the ear loop, the headset becomes very uncomfortable after about 30 minutes of wear. If I wear a smaller ear piece it is comfortable, but the headset doesn’t stay in my ear. If I wear the correct size it stays in my ear, but my ear ends up aching 30 minutes later. It conflicts with my sunglasses. Yes I live in Seattle, but clouds can be quite bright. It is more difficult to put on — meaning I need to keep the headset on my ear while in my car or fumble about every time I want to make or receive a phone call. This is not something I ever want to do. 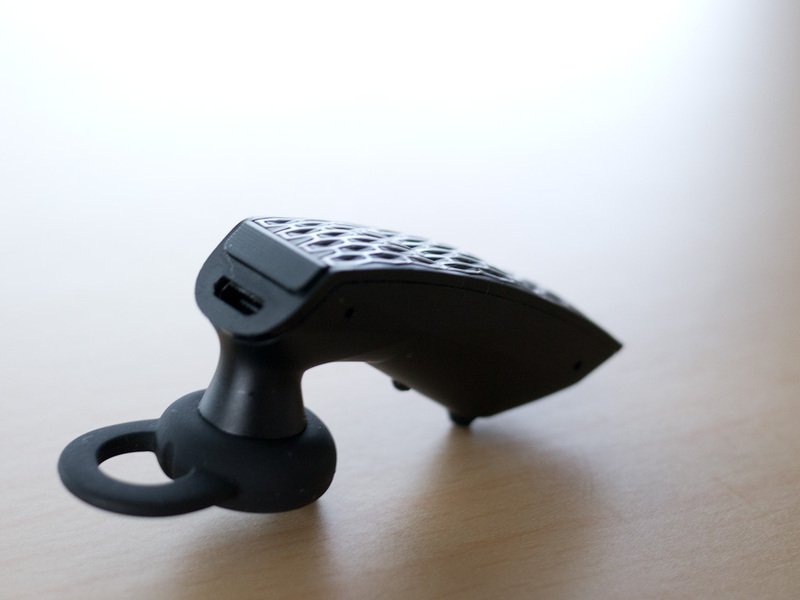 The SoundID headset that this Jawbone replaced was perfectly comfortable, so I know it is possible to have a headset that fits my ear comfortable — it’s just not the Era. I keep my iPhone 4S in the car door pocket, which is low and left of my body. There is actually a special little felt lined area for it there — this is the best place to keep my phone. I wear my bluetooth headset on my right ear, as these types of things tend not to stay in my left ear. The distance from my ear to the iPhone is about three feet. At that distance the audio gets a bit crackly. However if I move the phone three feet away on my right side, perfect audio. Even at 6 feet. I have found that the Jawbone doesn’t like to have to maneuver around your body and instead it just sounds like crap. This is really annoying for me, but people on the other end of the call rarely get the crackling sounds — so it’s not a total waste. I think, though, we should be past this bit of annoyance by now. The Era has this feature that you can turn on (when you mess about with it on your computer) that can set the headset to answer a call if you shake it twice. It sounded neat in the beginning, but it has turned out to be the worst feature I have ever seen. I grab the Era from the center console where it was sitting. I lift it to my ear, and secure it in place. I press the answer button. I hear the other person. Then the phone hangs up on the call. What actually happened is that somewhere along the line I shook the Era twice and it initiated the call answering. What the hell? Then when I pressed the button on the Era to answer the call — well — I actually was ending the call. You can turn this non-sense off, but you need your computer to do it. This is the single worst feature, but not the worst problem with the Era. The absolute worst part of the Era is the call/end button on the back of the device. It feels like complete crap. The stroke of the button is so shallow that you can hardly tell if you pressed it and forget about a firm and even “click” because most of the time you won’t even notice one. Therefore: I never know if I have actually pressed the button or not. Just really horrible design and lack of care and attention to the one part of the device that all users are going to be interacting with. I find this button inexcusable. I didn’t really state any of the good on this headset, so let me state it now: the noise canceling is phenomenal and the audio quality is very good (provided your phone is one the same side of your body as the headset). The battery life is OK (about 3-4 days on one charge left on in my car 24/7 and used about 30 minutes a day). Even with all the bad, and the very little good, this is the best bluetooth headset I have tried — which says more about the industry as a whole. For a device that many states require a driver to use, if they want to talk on the phone while driving, it is pretty amazing how crappy most of the bluetooth headset offerings are.